Join the Dinner Dance Committee and Positive Resource Connection for a special screening of the comedy, “Sordid Lives.” The film stars Emmy-award winning Leslie Jordan (Will & Grace) who will be headlining and co-emceeing the 30th annual Dinner Dance of Fort Wayne on October 6th at the Grand Wayne Center. Tickets for the event are $10. 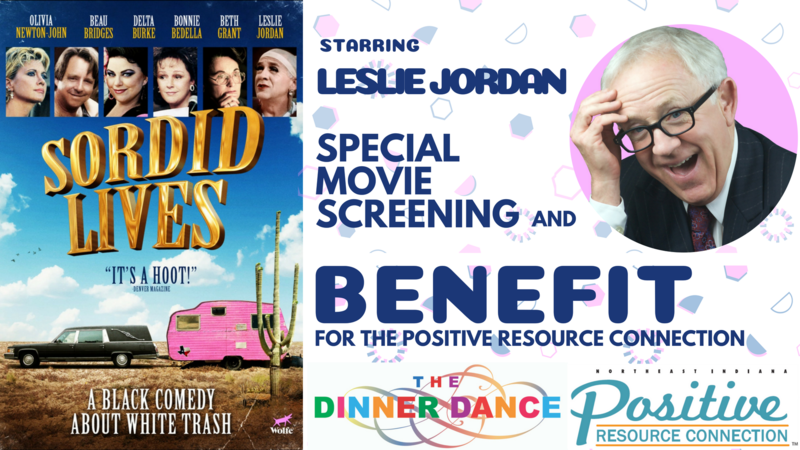 The Positive Resource Connection will receive 50% of the movie ticket proceeds but mainly we want to highlight the hilarious Leslie Jordan and encourage you to meet him in person at the 30th Annual Dinner Dance Benefit.